So far it has been remarkably easy, I’ve done a shop at the greengrocers, had breakfast and shopped at the farm shop and I have a fridge full of food. My biggest challenge at the minute is lunches – tomorrow we have layered salad. My second challenge is how little I’m actually at home to eat. I didn’t plan the start date of my 30 day challenge, but I’m not sure if any date would have been better than another. Tonight I met a friend for drinks but no food, so I need to find something easy on the way home. 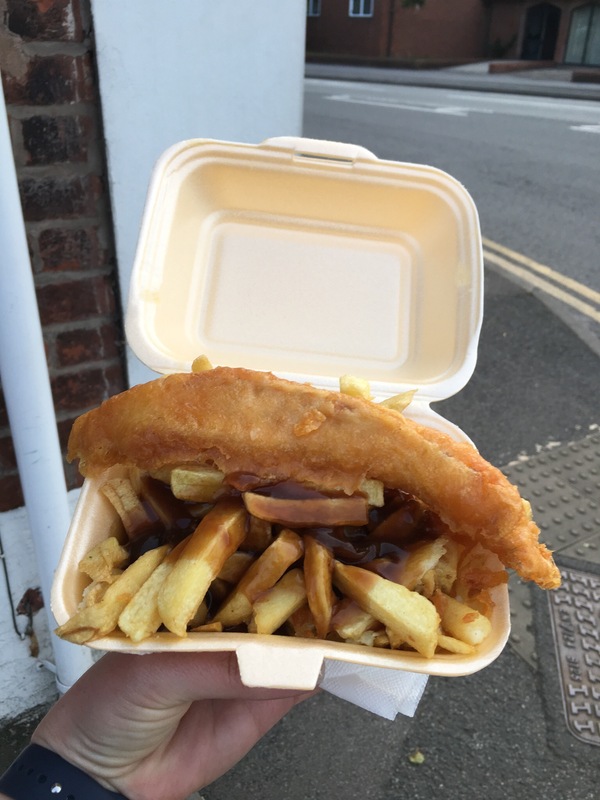 Chippy tea it is…..reminds me of my teens walking home from the pub!! The rest of this week is no better; I am out Tuesday and Wednesday for dinner, Wednesday for breakfast, Thursday and Friday for lunch. And then we are away on Friday and Saturday for the rugby finals. I’ll keep you posted as to my food choices, my successes and I’m guessing there might be the odd failure with a week like this. However as of tonight I’m still happy and on track, whilst walking home with my bag of chips! !